Bathrooms and high humidity are inseparable notions. That’s why it’s so important to obtain those finishing materials that are resistant to both high humidity and abrupt temperature changes. Easy access to the whole construction, including its hidden elements. Everything is clear now. Ceilings should be waterproof, easy to manage with as well as they should look aesthetic. We matched the below finishing material options for ceilings. Which one of them would be the best choice? The below information will help you decide. Special properties of lime reliably protect the ceiling from mold. There are some disadvantages too. Preparing the surface for refinishing is a time-consuming process. Also, whitewash should be updated annually. Considering available easier and more convenient alternatives we can’t say that this material is the best option. 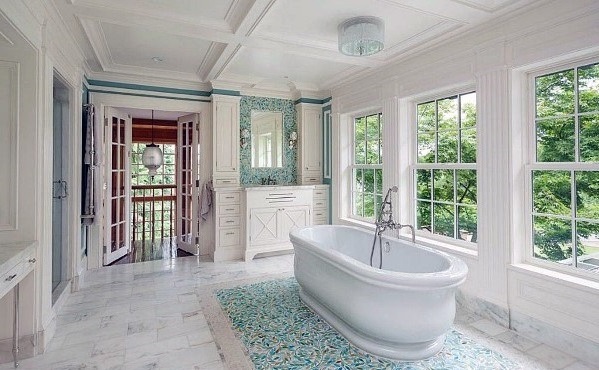 A great choice of paints for bathrooms will amaze your imagination as there are dozens of different compositions. Painted surfaces can be either matte or glossy. Additionally, you should not necessarily use one exact color. Professional skills and experience let the specialists decorate ceilings with extravagant ornaments. Most of the compositions have antifungal properties, helping you forget about any mold-related issues. There are some disadvantages you should be aware of. If you decided to paint your ceiling, you should better contact the specialists instead of doing it on your own, as the process of preparing the surface for painting requires some effort and experience. Also, be advised that you’ll need to do some color updates from time to time. 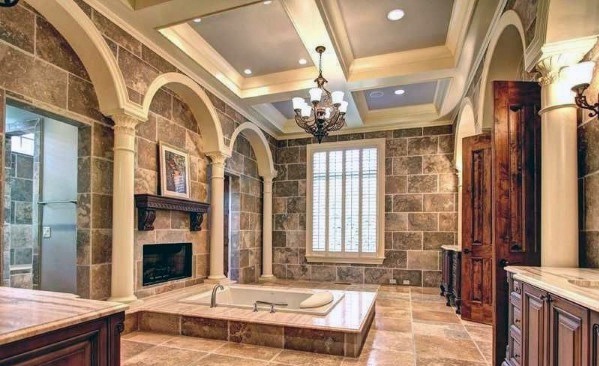 Our next articles will get you familiar with some other ceiling refinishing options for your bathroom.